I want to send along some mid-summer best wishes, as well as a few district and community updates. 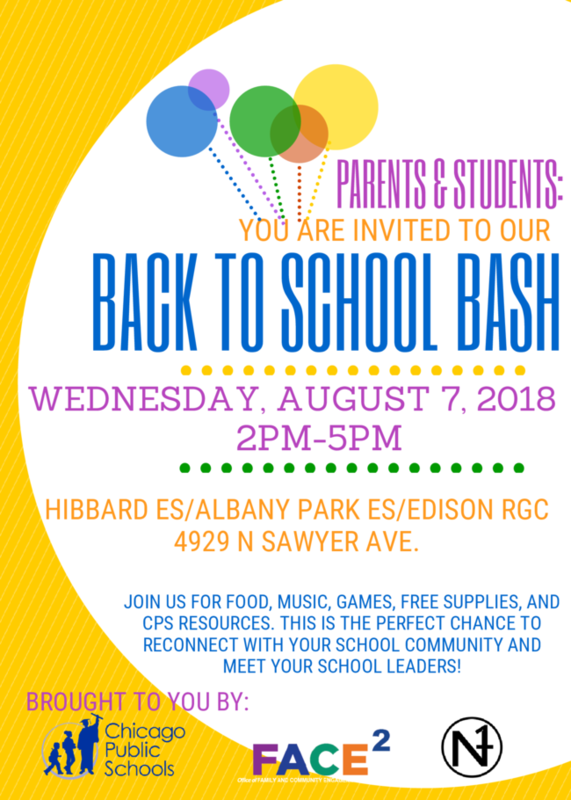 August 30, 2:45 to 3:45pm: Supply Drop-off and PTO Picnic at Solomon--a great way to see your child's class and meet your child's teacher before the year starts! September 4, 9:00 to 4:00: First day of school!!! Eighth grade families, 2018 is a big moment as you will soon be deciding which high school your student wants to attend during the 2019-20 school year. The first official step in this process is to activate your application account on GoCPS, which is the online platform that you will use to submit all your applications. 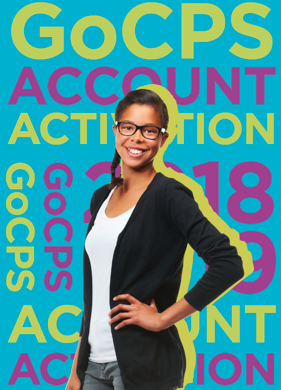 In order to activate your account, you will need to use the Activation Code from a letter sent home with your student at the end of the last school year. If you have misplaced or did not receive this code, please contact your child’s school counselor or the Office of Access and Enrollment (OAE) at 773-553-2060 from a telephone number on your student’s CPS student information file to have it reissued. The OAE call center is open from 8 a.m. to 5 p.m. Monday through Friday. Activation Codes will also be distributed to students again shortly after the beginning of school in September 2018. No matter who is activating the account, be sure to enter the name and address of the parent/guardian with whom the student resides as the primary parent/guardian. This address will be used when determining tiers and proximity boundaries, as well as attendance and overlay boundaries. GoCPS is optimized for view on Chrome, Safari and Firefox web browsers. We recommend using one of these to access the site. If you have any questions about the activation process, contact the Office of Access and Enrollment at 773-553-2060 from 8 a.m. to 5 p.m., Monday through Friday. Please click here for information from the Chicago Police Department regarding National Night Out on August 7, 2018. Solomon, along with other schools in Network 1, are hosting the annual "Back to School Bash" on August 7, from 2-5pm, at 4929 N. Sawyer. Please see attached flier or here for Spanish. iCook registration is open for the fall session. See here for more about this after-school program and information on how to register. Other programming, including our before- and after-school J at School program, will be back for 2018-2019, but registration is not yet open. We love our volunteers at Solomon, and we know how you help make the magic happen. Due to changes in CPS policy, all volunteers, new and experienced, must complete a volunteer application prior to the start of the school year. Parents must complete the CPS form for field trips and other volunteer opportunities. If you have already completed one in the past, you will not need to do so again. If you have any questions, please contact our main office (773-534-5226) or email Mr. Gamble at crgamble@cps.edu. I want to thank Ms. Roseland and our custodial staff for their work in getting our grounds cleaned up after the Fourth of July festivities. This year was much improved, with a lot less trash and no items vandalized. Thank you for your help with this! Lastly, tomorrow (Friday, August 3) Solomon is a host site for a Food Services job fair. Registration is closed for the fair. We are anticipating around 200 applicants at the school tomorrow, so I will apologize in advance for any congestion around the school.